TsukiButterflah has started a donation pool! Hello artist or art lover! Welcome to my page! Please support me in all way you can. Donate points or commission me. Spread the word, etc. If you don't see commissions info somewhere, always ask. I'm back and active once again in DA! Stay tuned for my content. Also i'm more active on amino communities! 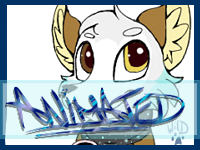 Check me out on Furry Amino, Pokemon Amino and Animation + Art & Maps Amino. Also my youtube channel will be updated often as well. Favorite visual artist Too many favs! Favorite movies Lion King/ Rise of Darkrai/ The Power of One/ Favorite TV shows Pkmn/ Mlpfim/ SU/ Favorite bands / musical artists Paramore/ Christina Grimmie/ Nana Mizuki Favorite books Vampyr Favorite games Pokemon, Skyrim, Destiny, Minecraft Favorite gaming platform 3DS, Ps3, PC Tools of the Trade SAI/ PS/ Intuos Tablet/ Watercolors Other Interests Fursuits, Cosplays, Manga, Gaming, Parkour, Conventions.